The holiday season has descended upon the world of retail and distribution once again, and with it comes all the same ecstasy and agony we’ve grown accustomed to. Sure, the sales figures are always nice to go back over, but the chaos and pressure of the season in the meantime can be a lot for your staff to handle. In 2018, the U.S. labor market has started to see record lows of unemployment. This is a great thing across the board, but it does make locating and retaining the talent you need a more difficult prospect than in years past. Take some time to review your previous years’ staffing levels and compare them to your sales figures to try and get a better idea of what you’ll need from your staff this year. Do you have enough workers to handle the expected rush already? Can you keep on any of your temporary employees after the season is over? 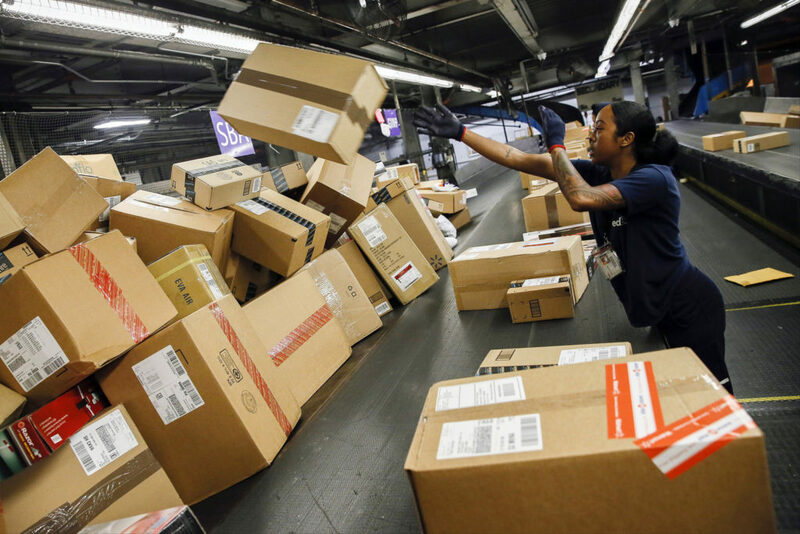 What departments (shipping/receiving, picking) need the most extra hands? Ask yourself the right questions and you’ll never find yourself short-handed. Reporting: Sales and deliveries face more trackable factors than ever before, including delivery time, items per sale, shipments per day, and so on. Measure as many results as possible and make sure your teams are hitting their defined goals consistently to better identify areas of needed improvement over the holiday months. Customer satisfaction: While this is sound advice throughout the year, the need to ensure your customers are satisfied is at an all-time high around the holidays. Provide tracking updates, accurate inventory levels, and easy-to-understand return policies to everyone that places an order, every time. Vendor KPIs: This time of year you need vendors that can keep up and maintain the high standards of timely delivery and product safety you need. Make sure your vendors are hitting all their KPI agreements to ensure the rest of your needs are being met properly. Thanks to the convenience of being able to order nearly anything you want online at any time, a lot of retailers and distributors have moved into carrying a surprisingly wide array of items for customers of nearly any interest. This can, of course, lead to issues with item storage and space for everything. As needed, take a look at any of the industrial storage options you have now and make sure everything is clearly divided and ready to go where it needs to. Making sure your employees know how and where to find the items they need to finish a shipment will go a long way towards keeping shipments on time and as accurate as possible. Similarly, customers know they have options for shopping, and oftentimes will pick the retailer that allows them the most transparency in where they get their products, what shipping times are expected to be, and so on. Make sure your distribution center has easily-sharable information on where your products are coming from and what impact your goods may have had on their country of origin, as many consumers are leaning heavily towards avoiding conflict materials and the like. This, in addition to constant updates on the status of your goods and your shipping procedure, will help instill a sense of trust in your customers and help them come back next time.